According to Korean media, Samsung is rolling out a completed version of Bixby to owners of the Galaxy S8, one that has Voice features enabled. 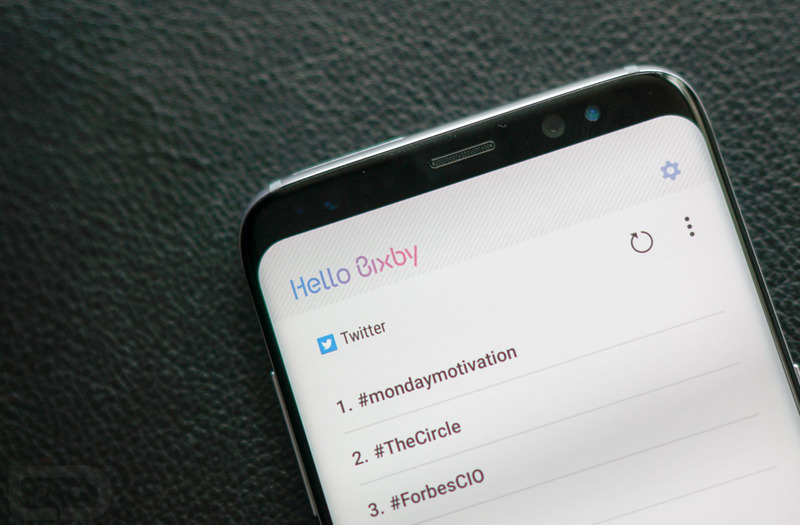 As you may know, the current version of Bixby in the US is very underwhelming, not nearly complete when compared to what was detailed at Samsung’s press event for the Galaxy S8. With Bixby Voice enabled, users can speak commands to Bixby, instead of using it purely as a bad copy of Google Now. When live, you will be able to enable/disable select system toggles (WiFi, Bluetooth, Flashlight, etc), send messages to contacts, check the weather, and even open your camera all with your voice. The real push is to make Bixby smart and do many actions automatically, like a habit learning bot. According to Samsung, Bixby should be capable of handling about 3,000 actions, which is certainly nothing to scoff at. We have spent zero time with Bixby Voice, so I can’t really say it’ll be awesome, but it’ll certainly be better than what we have right now. With it rolling out in Korea, it could be on its way to the US soon. Samsung has not delivered a timeframe for the US besides “later this spring,” but it is coming. Hang in there, Bixby fans.